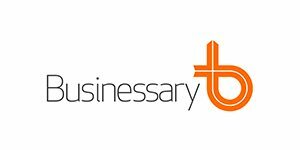 Businessary is your ‘one stop shop’ for business and HR advisory services, specialising in creating solutions designed to support your small-to-medium-sized business through a range of business consultancy and HR solutions. Their team of HR and business advisory professionals work with you to tailor plans and strategies which help build your business and brand through a holistic approach to all things necessary for business. Employing all the diverse knowledge, experience and expertise gathered over many years consulting and leading businesses in the corporate realm, the team at Businessary is excited at the opportunity to run a dynamic business focused on transforming the fortunes of other businesses. Access1st users can unlock a range of great offers from Businessary, including free and discounted advisory services. Full information can be found behind your association or client log-in. You can find out more about Businessary's range of services on their website.